Caution!! 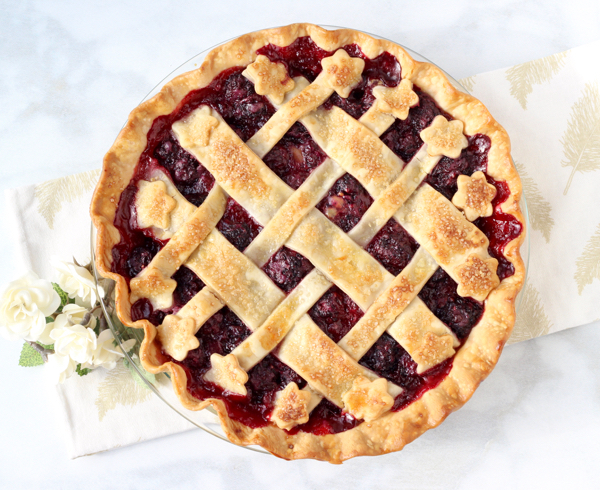 This pie might induce involuntary daydreaming! 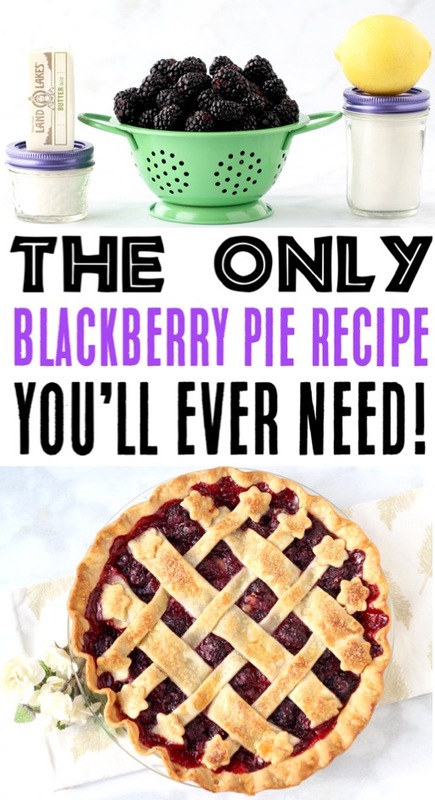 What really makes this Homemade Fresh Blackberry Pie Recipe over-the-top amazing is the epic pie filling made with fresh, juicy blackberries! 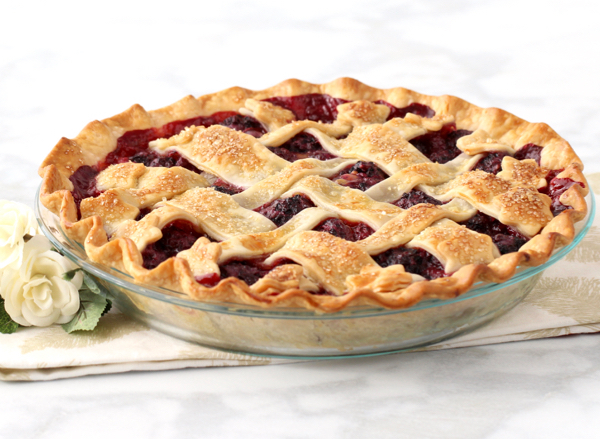 Then… this yummy pie gets extra dreamy when you serve it with some vanilla ice cream. YUM! I love the idea of sharing a hand crafted pie with the people I love. Talk about the ultimate All-American family dessert! I promise… it will make everyone’s tummies smile! 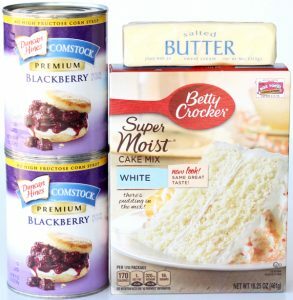 Make your Blackberry Pie for free when you shop with Free Grocery Gift Cards! 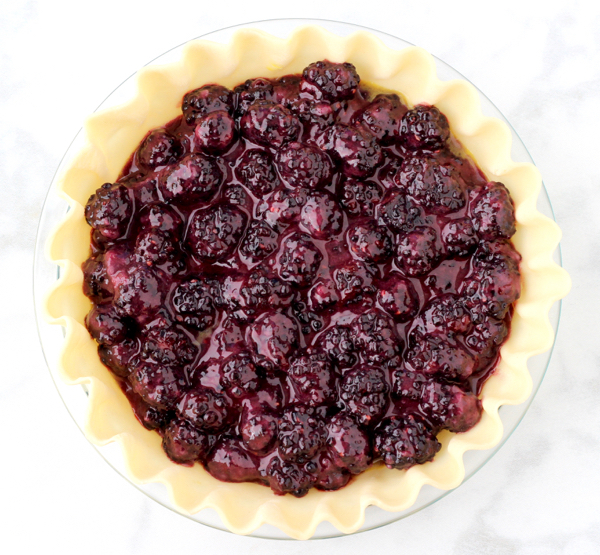 What really makes this Homemade Fresh Blackberry Pie Recipe over-the-top amazing is the yummy pie filling made with fresh, juicy blackberries! 1 tablespoon Cold Butter, cut into tiny pieces. 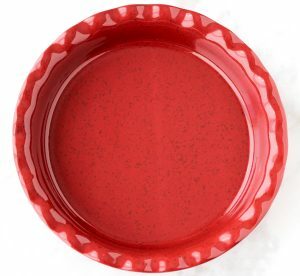 Carefully place one pie crust in 9″ pie dish. Trim and fold edges over, and crimp, pinch, or flute around the entire edge. Brush inside of bottom crust with beaten egg… this will prevent it from becoming soggy while baking. In large bowl, stir together Blackberries, Granulated Sugar, All-Purpose Flour until well combined and you no longer see any white coating. Transfer blackberry mixture into pie crust in dish, leaving any excess liquid in the bowl. Drizzle lemon juice over top of the berry mixture. 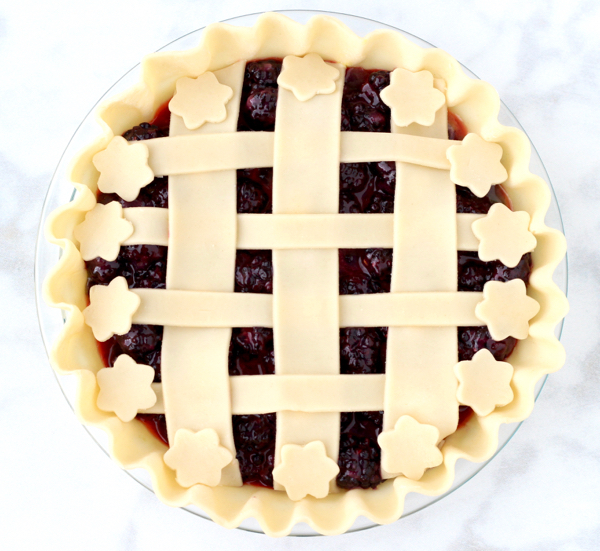 Now… it’s time to work on your lattice! Make sure to leave adequate holes or gaps for venting. I like to roll dough out on a cutting board and slice a variety of sizes of strips, using my pizza cutter. Then you can weave in a lattice pattern. You can even take 3 long and narrow slices of pie crust dough and braid it to add some additional pretty texture. Or cut out little shapes with Pastry Stampers to add some fun designs to the crust! The options are endless! Once you’ve laid out your top crust, it’s time for the egg wash. Beat 1 Large Egg well, then stir in 1 tbsp. Milk + a pinch of salt. 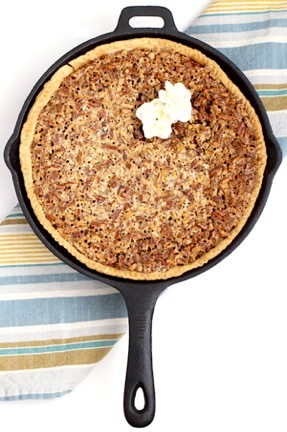 Dip your pastry brush in the egg mixture, and brush over the entire top and outer edges of your pie crust. Once you’ve finished your Egg Wash, evenly sprinkle the top of the crust with Turbinado Sugar. After 15 minutes, add your Pie Crust Shield to keep the edges from burning, adjust temperature to 375 degrees, and bake for 45 – 50 more minutes, or until done and top crust is golden brown. Transfer to wire rack and cool for 3+ hours prior to serving, allowing pie filling to solidify. Slice and serve with big scoops of vanilla ice cream and whip cream on top. ENJOY! No pie is complete without a cute top crust… and using a cute pastry stamper is an easy way to add some creative details to our pies. I use my OXO pizza wheel to slice my lattice top crust, and it works like a charm! 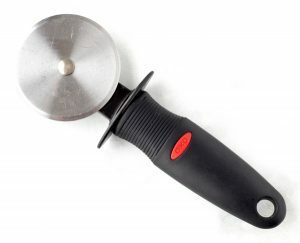 It’s sharp, precise, and so easy to work with! 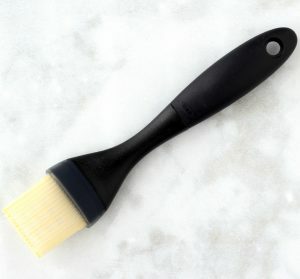 This is the OXO Pastry Brush I have and love… it has extra layers of bristles to get the job done without clumping! 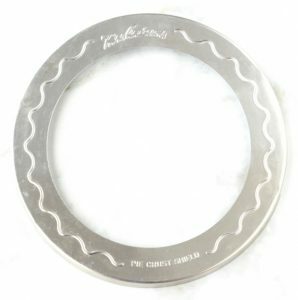 These are my favorite pie crust shields… I’ve been using them for years and years, and love them! 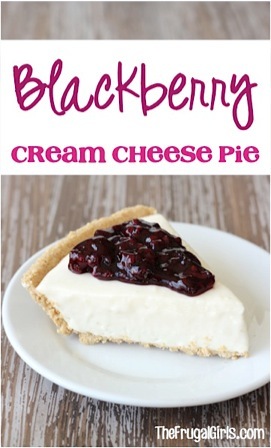 I have even more Blackberry Recipes, Easy Pie Recipes, and so many yummy Fruit Pie Recipes to share with you today. With just 3 ingredients, this dessert is about as easy as them come. Just dump it in the Crockpot and walk away! 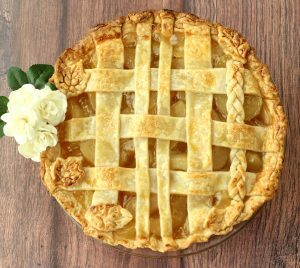 When you’re prepared with some genius kitchen shortcuts and an amazing blend of spices, you’ll make your very best apple pie in no time at all! 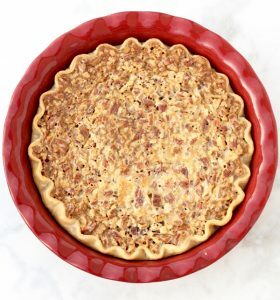 Whether you like your pecan pie warm or cold, this easy chocolate chip pecan pie serves up some serious comfort food temptation! 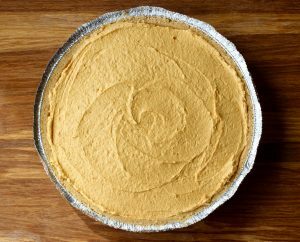 Making your pumpkin pie as a no bake pie is like the very best kind of cheating! Make your hubby and kiddos happy when you make one of the Easy Fruit Pie Recipes! 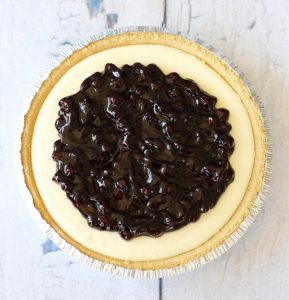 These quick and easy Pie Recipes are perfect for your next holiday celebration or as a fun Friday night treat! 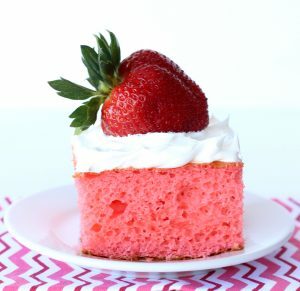 Elevate your summer fun with these irresistible easy Summer Dessert Recipes for a crowd, or just a fun family dessert! 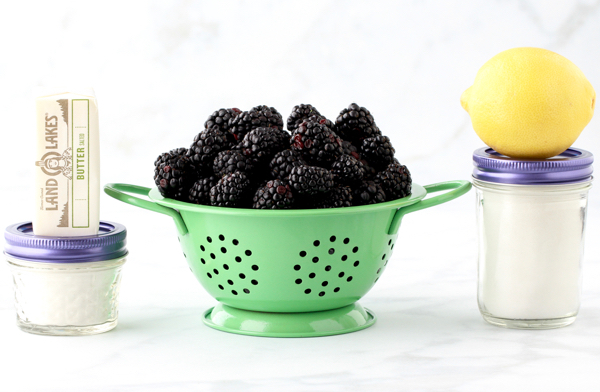 So have you tried this easy Homemade Fresh Blackberry Pie Recipe?